NKU’s second appearance in the NCAA Tournament ended with a 15 point loss. Jalen Tate (11) drives toward the basket during the game against Texas Tech in Tulsa, Oklahoma. Tate shot 2-of-12 on the game and had 6 points. 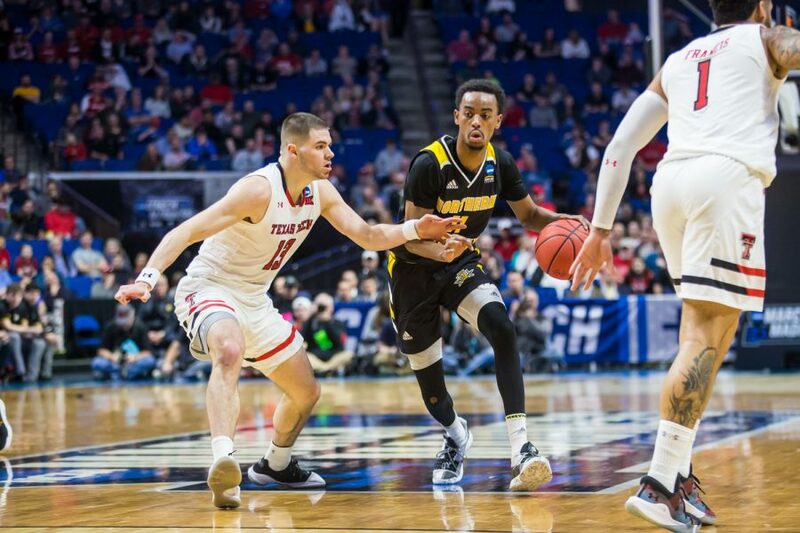 TULSA, Okla. — NKU men’s basketball’s historic season ended against the Texas Tech Red Raiders, 72-57, Friday at the BOK Center in Tulsa. The Norse end the season as Horizon League regular season co-champs as well as Horizon League Champions. The Norse ended the season with a 26-9 overall record. Junior guard Tyler Sharpe led the Norse with 23 points, making 4-of-7 from behind the arc. Junior forward Dantez Walton followed with 11 points and seven rebounds. Freshman forward Adrian Nelson led the night in rebounds with eight and contributed six points to the game. Texas Tech started the game by scoring six unanswered points, and Walton stopped the drought with a two-point basket with 18:05 on the clock. The Norse held the Red Raiders to six points for three minutes while the Norse went on a 4-0 run. With 14 minutes left in the game, Nelson went up for a two-point basket with fierce opposition, and was able to throw down the two. After a brief Texas Tech possession, NKU stole the ball back. Sharpe took a big charge with 8:45 on the clock and continued to make an impact on the game with back-to-back court trips to put five points on the board. Sharpe laid in a contested layup followed by a three-point bucket. Walton posted up and made a play for two with 1:42 left in play. The Norse go into halftime trailing by four, 26-30. In the first half, NKU shot 36 percent from the field. Sharpe led the charge, putting up 10 points for the half. Texas Tech shot 52 percent from the field and made 3-of-6 from the three-point line. 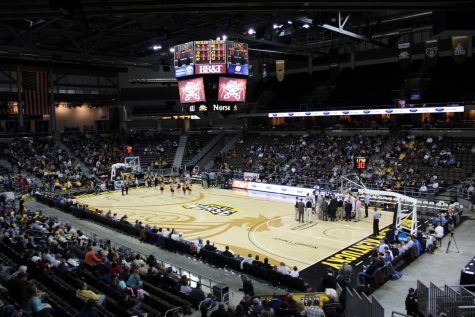 NKU out-rebounded the Red Raiders 21-16. The points in the paint were evenly matched at 16 apiece. The second half started with a charge from redshirt sophomore guard Jalen Tate. Sharpe started the scoring in the second half with a layup and three free throws after a foul from behind the arc, allowing him to put five points on the board in the first two minutes of the half. The Red Raiders went on a 9-2 run to stretch out the lead. Faulkner gained his fourth foul with 17:47 left and also went down with what appeared to be a tweaked ankle. Faulkner came back into the game, then fouled out later with 9:11 left in play. Sharpe had the ball on a fast break and passed ahead to Tate, who laid it in to bring the score to 45-60. Nelson added back-to-back two-point field goals for the Norse to bring the score to 52-70. 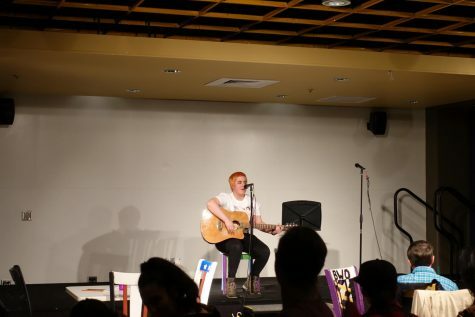 The Norse were unable to close the gap and end their tournament run in a 55-72 loss. 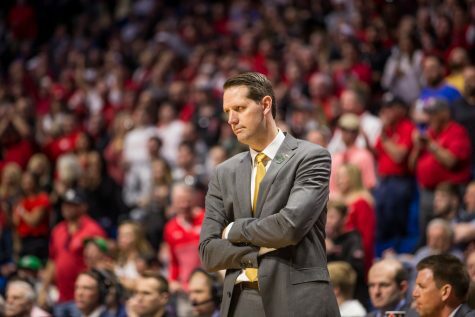 NKU still managed to out-rebound the Red Raiders for the game 39-31 and matched their points in the paint at 34. The Norse ended the game shooting 37 percent from the floor, as opposed to Texas Tech’s 52.8 percent. This game was the last of graduate student Zaynah Robinson and senior forward McDonald. McDonald ended his collegiate career with 2,066 points and 1,081 rebounds, the all-time leading scorer and rebounder in NKU history. The Norse had a historic season, and now have made two tournament runs in their first three years eligible for NCAA Division I. The Norse have a lot of the team returning and are hopeful for next season.